We ladies sure seem to obsess about out breasts. We enlarge them, reduce them, push them up, plunge them down, stick adhesives on them, pad them, powder them, rouge them, pamper them and scent them with perfumes and after bath sprays. We even do exercises at the gym to keep them at their peak. But do we make sure they are getting proper nutrition? Maybe not. We owe a lot to our breasts, and we know what can happen if we don’t take care of them, and usually that care entails a lot more than just picking the right bra. Cheryl L. Rock, Ph.D, RD, professor of family and preventive medicine at the University of California says, “A woman can cut her chance of cancer by as much as two-thirds with good nutrition and weight management.” If you are concerned with the health of your breasts, here are some foods that might help you out with that. According to researchers at Texas A and M, peaches and plums have levels of antioxidants that pose a threat to the celebrated superfruits known as blueberries. The two p’s contain two varieties of polyphenols, antioxidants that may help to destroy breast cancer cells while leaving healthier cells intact. Research in the Nutrition and Cancer Journal suggest that walnuts may help to impede the spread of breast cancer. Studies on mice found that the rate of tumor growth in walnut -eating mice was half of that in a group that was not fed walnuts. Experts believe that it is the anti-inflammatory properties in walnuts that give them the ability to fight tumors. Broccoli contains sulforaphane, a compound shown to reduce breast cancer stem cells in mice, according to the University of Michigan. Although it is unclear whether the amount found in broccoli is sufficient enough to have the same effect, make sure to get the most of it by eating broccoli raw or steaming or stir frying. Boiling can lower the level of sulforaphane. Fish oil supplements are known for their cancer fighting characteristics. Ten years of regular consumption can shrink risk the of ductal carcinoma, the most commonly found type of breast cancer. Omega-3 fats in fish oil prevent inflammation, a known contributor to breast cancer. However, if you eat about 8 ounces of fish like salmon daily, you can skip the supplements. Need another reason to go to Starbucks? A May 2011 study in Breast Cancer Research finds that drinking two twelve oz cups a day can lower great cancer risk. According to study author, Jingmei Li, Ph.D, “One possibility is that coffee’s antioxidants protects cells from damage that can lead to cancer.” However, these findings are not confirmed, so you may want to wait until you become a fixture at your local coffee house. You know what they say about beans- the more you eat…. the more your risk of breast cancer decreases. A new report from the American Journal of Clinical Nutrition found that increasing fiber intake can lower the likelihood of great cancer. The research found that eating 10 grams of fiber a day (about 1/2 cup of beans) decreases risk of breast cancer by 7%. So the next time your spending money on your lovely assets, you may want to do it in the grocery store. Let us know what you’re doing to support your breast health. We love to hear it! If you’ve ever wondered why Mediterraneans are so good looking, the answer is obviously the diet! Mediterraneans thrive on a delicious balance of fish and vegetables, cheese, and spices drenched in pure olive oil keeping their hair thick, eyes bright, bones straight, heart healthy, and skin unwrinkled. If you have been toying with the idea of adopting a Mediterranean diet, let’s examine what it will entail. Why the Mediterranean diet? Research shows that the Mediterranean diet lowers heart disease and is associated with a lower level of bad cholesterol. In fact, an analysis of more than 1.5 million adults showed that the diet reduces risk of heart failure and increases overall mortality. Those who eat a Mediterranean diet are at a lower risk for cancer, Alzheimer’s and Parkinson’s disease, and women who eat a diet including mixed nuts and olive oil may be less susceptible to breast cancer. If you travel to the Mediterranean, you will find no shortage of vegetables, fruit, rice, and pasta. Greek diets include very little red meat and an average of nine servings of fruits and vegetables per day. Grains are usually whole grains with few trans fats and the bread is eaten plain or dipped in olive oil, as opposed to trans fat, containing butter or margarine. Although nuts are high in fat, most of it is not saturated, which means they are good fuel for your body, but excessive amounts can lead to weight gain. While nuts are a big part of the Mediterranean diet, experts recommend keeping your intake down to no more than a handful a day. Olive oil constitutes the primary source of fat in the Mediterranean diet. Olive oil is a mono saturated fat, which is known to reduce bad cholesterol when used instead of saturated fats. Virgin and extra virgin olive oils are the least processed forms of oil and contain plant compounds with antioxidant properties. Polyunsaturated fats and mono saturated fats, such as are found in canola oil and nuts, contain Omega -3 fatty acids which decreases blood clotting, lowers triglycerides, improves blood vessel health and regulates blood pressure. Fatty fish, including sardines, mackerels, albacore tuna, and salmon is also a source of omega-3 fatty acids. While many doctors are reluctant to include any form of alcohol in a healthy diet, wine has been showed to reduce the risk of heart disease in some studies. The Mediterranean diet recommends limiting wine intake to no more than 5 ounces a day for women, and no more than ten ounces for men under 65. Men over 65 should keep it down to five. Higher amounts can lead to liver failure or heart disease. Eat healthy and be gorgeous! Let us know how you plan to do your Mediterranean diet in the New Year! “Dead” food is the newest title given to food that has had the life packaged, preserved, or cooked out of it, to the point where it has become sadly void of virtually all nutritional value. If you are interested in healthy eating, you will probably want to identify and avoid foods give this monicker. Dead food refers to processed food or food without nutrients. It is called dead because it has been refined to a point that it is bereft of minerals, vitamins, and fibers. However, dead food is in no way inedible. In fact, it is extremely tasty and easy to digest. Herein lies the problem. At least half of what we eat is “dead food” and its causing our bodies to store fat, which leads to inflammation. Inflammation is a prime source of diabetes, strokes, and cancer. Fillers: Fillers are the items like white rice, bread, sugar, soft drinks, and chips, otherwise known as the staples of most American diets. Processed Food: Anything preprepared, like frozen dinners, desserts, and snacks. Fast Food: Almost anything you get at fast food chain restaurants. Live food is raw, or uncooked food. It is considered alive because when food is cooked certain enzymes are denatured, or killed. Hence, raw food is food which still has working enzymes. Enzymes are responsible for doing all the work inside a cell. Denaturization usually occurs when food is heated over 105 degrees. Although energy bars are often promoted as health food, nutritionists more commonly think of them as candy bars with protein thrown in, which makes for poor taste and texture combined with refined sweeteners and preservatives. You are better off with an almond nut mixture. More junk food in disguise! Veggie chips are a perfect example of good food gone bad. They are traditionally deep fried in oils and become denatured by light, oxidation, and heat. Stick to raw dried kale chips as a healthier alternative. The name may sound natural, but the product is anything but. The chemical used for the manufacture of agave nectar is almost the same as the corn refiners used to make high-fructose corn syrup. Agave nectar goes through a chemical process that converts it into 70 percent pure fructose. Fructose is linked to fatty liver disease, obesity and has been known to break down collagen in the skin. What are some “dead” foods you’re giving up for 2017? And what are you thinking of replacing them with? Let us know your take on the whole thing! Do you ever wonder how many people watched the movie “Supersize Me'” while eating a huge tub of movie popcorn and sipping a large soda? Do you ever wonder how many shook their heads at the follies of the habitual junk food eater while indulging in the very object of their scorn? We all know that practicing is a lot harder than preaching, but the ugly truth is that, if there is anything to be learned from “Supersize Me” it is this: junk food is bad for you. It is physically harmful and physiologically addictive. If you are fed up with being fed up, here are some tips for avoiding junk food. 1. Over 5? Put it down! If you see more than five ingredients on a food label, leave it out of your shopping cart. The more ingredients a product contains, the greater the likelihood that it contains processed ingredients. According to a 2012 Cornell University study, people have a preference for a plate of food featuring three different items of three different colors. Keep this in mind the next time you reach for a candy bar. Think more along the lines of fruit slices or mixed nuts. This way, you are getting a better balance of nutrients and a variety of tastes. Does your daily schedule include a mid afternoon trip to the snack bar? If so, try to find yourself taking a healthy five minute walk at that time. You will soon find yourself forgetting all about that daily bag of gummies. If you can’t get through the day without something sweet, no problem! Make a parfait with fruit and Greek yogurt or freeze some grapes for after dinner. Adam Melonas, founder of UNREAL candy says, “If you can make people chew more, they eat less.” When you’re picking food, take chew time into consideration. A nice crisp apple will keep your mouth busy for a while, whereas a whole banana can take under a minute to consume. If you’re looking to keep your mouth busy, the apple is a better choice. Ignorance is bliss! The more you know about processed food, the less likely you are to eat it. For example, frozen chicken breast get their “grill marks” from machines containing vegetable oil. Processed food like Kool Aid and breakfast sausage contain BHA, a preservative that Health and Human Services consider a carcinogen. The BBQ flavor in Baked Lays is made with milk and chicken powder and the vitamin D3 in yogurt is made from sheep’s grease. 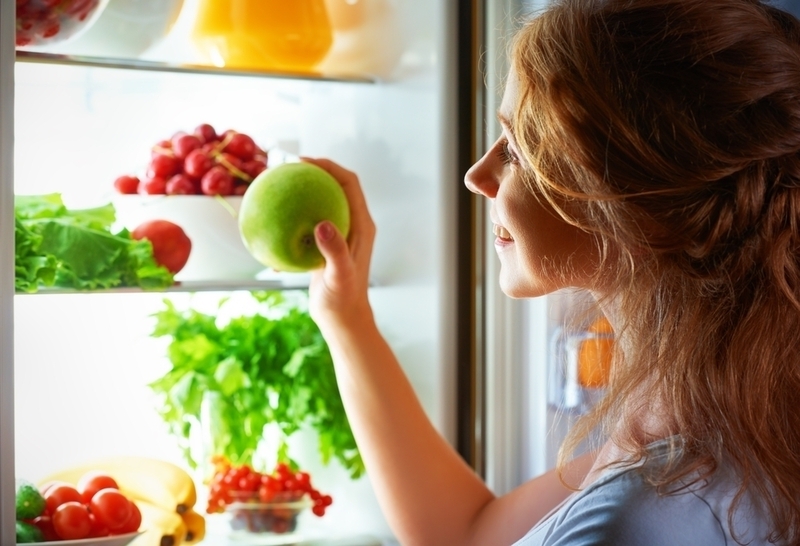 Make sure to have the healthy foods where you can reach them; in the front of the fridge or on countertops. Be aware of foods that trigger junk food binges and don’t buy them. If you are a junk food junkie, tell us about your struggle, or if you beat junk food, tell us how you did it. Remember, we love to hear all the facts! What does the term “Fat Monday” mean to you? In the New Orleans Mardis Gras, it is known as the Monday before Ash Wednesday marking the tradition of the New Orleans carnival king’s arrival. However, to those of us who devote our weekend to gluttony, Fat Monday has a very different, not so celebratory meaning. Is Saturday your cake and cookie night? Do you spend your Sunday afternoons trolling social media with a melting pint of Haagen Dazs? If so, you are probably all too familiar with Fat Mondays. However, Fat Mondays are ok; it’s when Fat Mondays become Fat Tuesdays, Wednesdays, Thursdays, and Fridays when you have to start to worry. When you start feeling sick and tired of feeling sick and tired, there may be some simple mistakes you’re making. While a big dinner and dessert may feel like the perfect ending to a perfect day, it might not mean such a great morning after. Meals right before bed time force your body to concentrate on digesting food instead of getting a good night’s sleep. If you want some quality shut-eye, you’re better off eating a small serving of protein and swapping the mashed potatoes and fries for sweet potatoes. The complex carbohydrates and fiber in sweet potatoes will keep you fuller and reduce sugar cravings. If you’re getting a sugar high at night, you can expect a crash in the morning. Dawn Jackson Blatner, registered dietician, says, ” Refined, processed and sugary carbs are empty calories.” They require a lot of energy to digest, but leave you depleted of nutrients, Whole grain toast with almond butter can be a better way to fix the sugar craving while getting some nutritional value. Although fruit contains loads of vitamins, it also contains a lot of natural sugar, which can be harmful if you have diabetes and can also lead to a stomach ache. If you want to get your fruit fix, your best off with a handful of cherries, which contain phytochemicals like melatonin, to enhance sleep. Bananas are another great choice.because they contain muscle relaxants like potassium and magnesium to ensure a better sleep. O.J. and coffee are traditional breakfast beverages and should probably remain that way. If you’re prone to acid reflux, orange juice is not the best pre- slumber choice and neither is coffee. Drinking java anytime after 2 p.m. can be enough to impede sleep and even decaf can contain some caffeine. Although alcohol can help to bring on sleep, the quality of the sleep may not be the good, According to Blatner, “Instead of getting a good night’s sleep, your body has to work to metabolize the alcohol. Chamomile or mint teas are both better nighttime options.” If you want a snack before sleep, try to keep it around 150 calories with a little protein so it doesn’t disrupt the sleep cycle and leaves you feeling energized in the morning. If you’re a pre-bedtime snacker, we’d love to know how you keep the puffiness away? Drop us a line! We love to hear from you! According to an article published in the Telegraph last month, a Japanese scientist discovered that eating ice cream for breakfast increases mental performance. According to Professor Yoshihiko Koga, eating ice cream directly after waking up leads to an increase in high frequency alpha waves, which are linked to increased alertness and less mental irritation. Although the discovery of ice cream leading to increased brain power may not be likely to cause a huge boost in the sale of the sweet stuff, it is not the first time food has been linked with brain-power. If ice cream is a little rich for your early morning menu, here are some brain boosting superfoods to boost your brain while keeping your figure. Maybe not quite as tasty as ice cream, beets have been determined by scientists at Wake Forest University to increase blood flow to the brain. Try them drizzled with honey for a healthy side dish or in a salad. Musical as well as intellectual, lentils are full of folate to make your brain extra powerful. They also decrease the amino acids which can lead to impaired brain function. This is a food that certainly lives up to its name. A study in Pharmacological Biochemical Behavior found that young adults who were given sage oil extract performed better in cognitive tests than those who had been given a placebo. That’s because sage contains compounds that support acetylcholine, which is involved in memory and learning. It’s the iron level in grass fed beef that gives the food its brain boosting qualities. 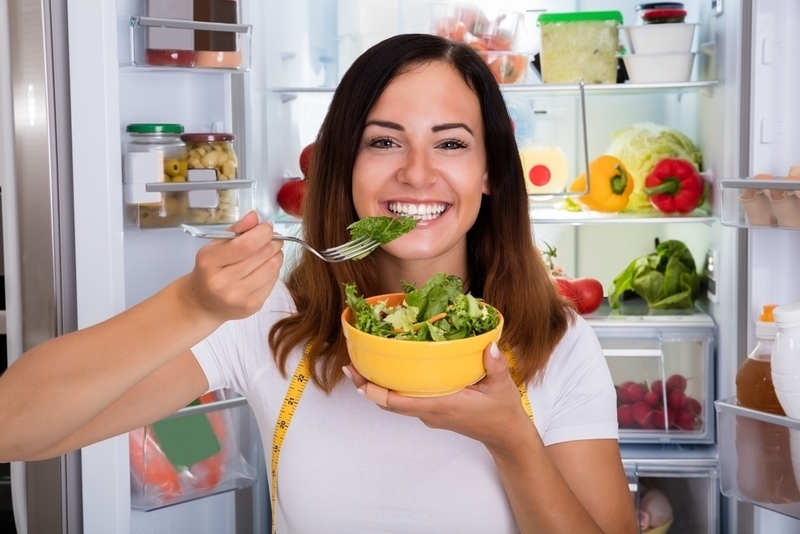 A study in the American Journal of Clinical Nutrition found that women with adequate levels of iron performed mental tasks faster and with better results. Why? Iron transports oxygen throughout the body and into the brain. Keep some of these on hand during finals time. Scientists at Tufts University found that a combination of certain antioxidants and the omega-3 fatty acids in walnuts can boost mental performance. If you can’t have ice cream for breakfast, eggs may be a good alternative. Egg yolks contain choline, which helps in the formation of acetylcholine, which helps support memory function. The high protein levels in eggs can also increase overall cognitive ability. Sardines are packed with omega-3s that help regulate communication between brain cells and increase mental focus. Put some in your lunch-box before your next big meeting. According to researchers at Harvard Medical School, women who ate the most leafy green and cruciferous veggies demonstrated a reduced rate of cognitive decline than those whose ate a smaller amount. Try some of these out and let us know if you get significantly smarter. Please send us samples of your newly acquired wisdom. We love to hear it! In 1904, New Castle Pennsylvania resident, Mrs. John E. Cook took third place in a recipe contest for her “Perfection Salad.” The Jello- encased salad contained a suspension of almost anything that was vaguely identifiable as produce, including cabbage, carrots, and olives to name a few and was characterized by its vinegary flavor. The original recipe suggested serving the molded salad sliced and with mayonnaise in cases made of green or red peppers alongside grilled fish or salmon. The dish earned Mrs. Cook a sewing machine and became a favorite of homemaking magazines for decades. Although the “Perfection Salad” would probably make a great centerpiece for your holiday table, it might be best off left just there, in the center of the table. If you are looking for some winter salads that might actually end up on someone’ s plate, here are a few ideas. If you want a salad pleasing to the eye as well as the taste buds, this is it. Brimming with the colors of citrus, pomegranate, and spinach, the salad is perfectly complemented by a light dressing with hints of orange zest, rosemary, mustards and shallots. What do you call scared broccoli? Cauliflower! Shaving the cauliflower can be a bit challenging, if you want them sliced as thinly as the recipe suggests, but the results will be with it. Let the cauliflower soak in lemon juice and sea salt beforehand, allowing the tangy taste to work its way in. Add celery, clementines, pomegranate, with tahini and honey for the dressing. Bonus points for this one: it can be made a day ahead of time, just leave off the dressing until you are ready to serve. Buckwheat is a complete vegetable protein and a great source of amino acids. Also, because, despite its name , it is not a wheat, it is also gluten-free, making it perfect for those with sensitivities to wheat and gluten. Mix up some toasted buckwheat groats or kasha with hearty beans and kabocha squash. Top with pea shoots, raisins, almonds sunflower seeds and caper berries in oil and vinegar. Heat and serve. Yum! The name almost says it all, but the three slices of thick cut bacon and the Pecorino Romano cheese may be the real selling points for this lovely warm salad. It gets its flavor from maple syrup and its crunch from chopped hazelnuts. Get a mouthful of this mouthful! Hard to say, but easy to prepare, all you need are some dried cranberries, glazed walnuts, mandarin oranges, blue cheese, and avocado. Drizzle with cranberry vinaigrette and prepare for a healthy feast. Note that all of these recipes can be encased in gelatin. Let us know if any of these made it to your holiday table! We’d love to hear what you thought! At a time when sugar added to processed food is blamed for a large part of the obesity epidemic in America today, it is hard to imagine any publication seriously advising us to consume more of it. In fact, the health conscious among us are probably more concerned with avoiding it. Going sugar-free is a big step, but if you would like to explore the possibility, here are some tips that may help create a sugar-free diet plan. Did you know a 12 oz soft drink can contains about 10 teaspoons of sugar? Cutting soda from your diet can significantly reduce your sugar level. In addition, it’s probably a good idea to stay away from candy, even if it is sugar free. These options often contain toxic sweeteners, the exceptions being those sweetened with stevia. Even packaged organic products can contain relatively large amounts of sugar. You’ll probably do best by tossing these foods in the bin and not buying any more of them to resist temptation. Instead, make snacks at home, like hot cereal, eggs, toast, or homemade muffins. Fruits and veggies are also healthy options. It may be extra work, but think of how much money you will save to buy those really fabulous Christmas gifts! Even if you choose a salad, beware, sugar abounds in salad dressings.When at a restaurant, grilled meats and roasted vegetables are probably your best bets for keeping sugar levels down. In the book, “The Mood Cure,” author Julie Ross recommends not only cutting out refined foods, but also adding good ones. She advises that you aim for 20-30 grams of protein at every meal and four to five cups of vegetables daily. Eating regular healthy meals will make you less likely to reach for that extra cookie or donut. If you’re finding it difficult to go completely cold turkey, you may want to start by using unrefined sweeteners like raw honey, pure maple syrup of coconut sugar. These contain vitamins and minerals and are less harmful to the body. They are also less addictive than regular sugar and have a much less significant effect on blood sugar levels. Dr. Nancy Appleton, author of “Suicide by Sugar,” found that you can allow yourself two teaspoons of sugar two to three times a day and still remain healthy. So if you’re really craving that extra sweetness, try adding a little honey to your tea or yogurt. Do you think you’re ready for a sugar free diet plan? Let us know how you did with it! We would love to hear from all of you brave souls! Bananas are loaded with potassium. That means they can counteract the negative effects of sodium on blood pressure and maintain heart function, lowering the risk of stroke and heart attack. In fact, even the US Food and Drug Administration has to concede that banana’s ability to regulate blood pressure is far more powerful that of any drug that produce. According to research conducted by the American Heart Association, bananas can cut the risk of stroll by 20%. If you are an avid tennis watcher, you may just find your favorite player munching on a banana between sets. That’s because the banana’s natural sugar and soluble fiber provide for a slow stable energy release. Bananas have a glycemic index of about 52, which gives them enough of a kick to the system without spiking blood sugar. They also contain about 24 g of carbs which increases with the banana’s ripeness. Did you know banana skin can be effective in treating psoriasis and acne? Just rub a freshly peeled inside of the peel over the affected area and allow your skin to absorb the residue. The fatty acids in bananas can relieve a large variety of skin conditions. You can also use a banana peel treatment to heal warts. Just rub a piece of banana peel over the wart and tape it firmly in place. Leave it on overnight every night for a week or until the wart disappears. If you have reservations about turkey this holiday season, you can get your tryptophan kick from bananas. The human body converts tryptophan into serotonin, which helps reduce stress,raise levels of happiness, and help regulate sleep patterns. Just one banana contains a full fifth of the daily does of B6. That’s good news because B6 creates hemoglobin for healthy blood. It also plays a role in maintaining healthy blood sugar levels,synthesizing amino acids and producing antibodies to help boost your immune system. If you believe in the health benefits of bananas, we would love to get your input. We can never hear enough about banana appeel (appeal-get it?) We love to hear from you as always! Celia Rivenbank, author of “Stop Dressing Your Six-Year-Old Like A Skank: And Other Words Of Delicate Southern Wisdom, cites the derivation of the word carbohydrates as, “from the Latin, carbo, which means “yummy” and hydrates which means “cinnamon bun.” and allows that they “are not something I can eliminate or even drastically cut back on.” While many of us may echo this sentiment, food science dictates that the term carbohydrates represents any food that is rich in the complex carbohydrate starch, or simple carbohydrates like sugar. Put the two definitions together and you get bad news for someone who is trying to lower his or her glucose level. When it comes to controlling blood glucose levels, counting carbohydrates works the best of any system, including counting calories and avoiding sugar. This is because carbohydrates are what are responsible for rising glucose levels right after meals. If you take insulin, counting carbs allows you to match the doses of insulin to the foods you eat, providing for greater dietary flexibility and countering post meal lows and highs. A study done by the Texas School of Allied Health sciences found that people who ate regulated amounts of carbohydrates lowered their blood glucose level by 55 ml/dl. Luckily, the FDA requires manufacturers to list nutritional information and ingredients on food labels, including carbohydrates. Total carbohydrate represents everything in the food that is carbohydrate including starch, fiber, sugar, and sugar alcohol. Look at the number next to the g (grams). The percentage that follows is not relevant to carb counting. For a most accurate reading, subtract the fiber grams from the carb count because fiber does not raise blood glucose and subtract half the grams of sugar alcohol because sugar alcohols affect glucose levels half as much as other carbs. Also, remember to adjust for servings. If you are buying foods such as fresh fruit and vegetables that do not carry a label, printed and electronic nutrient listings are available in booklet form, as downloads and on the internet. They can also be downloaded to a personal digital assistant, so you can have access to nutritional information in grocery stores and restaurants. Portion conversion is a method involving estimating the serving of food by comparing it to a common object. For example, you know that a cup of cooked pasta has about 40 grams off carbs. You estimate that the portion on your plate in 1 1/2 cup by comparing it to a 12 oz. soft drink can. Here are some handy measuring devices: The fist of an average adult is equal to one cup, a child’s fist is equal to a half cup, a deck of cards is equal to 1/3 cup, and a 12 ounce soda can is equal to 1 1/2 cups. Of course, it this tool works best when you have the objects in front of you, but with practice, you will find that you can eyeball it down fairly accurately. If you are monitoring your glucose level, we hope this has been helpful. Let us know how you do it! Good luck and good health! We love to hear from you, as always!